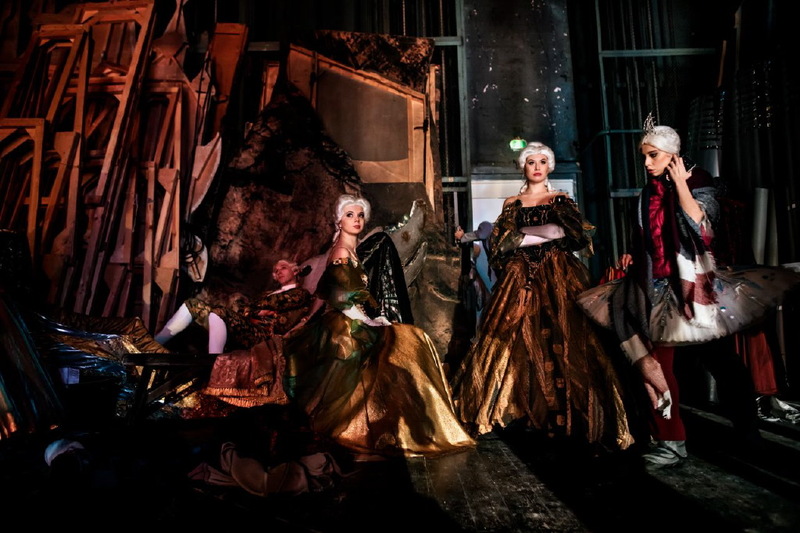 The story of passion and power, of fatigue and of beauty, of grace and strength, of fantasy and feeling, is brought to life inside the National Academic Opera Theatre in Kiev,the Taras Shevchenko. The Theatre,built in 1901, is considered today as one of the most famous ballet schools in Europe, training ground for some of the most famous twentieth century dancers, such as Vaclav Nijinsky and Serge Lifar. 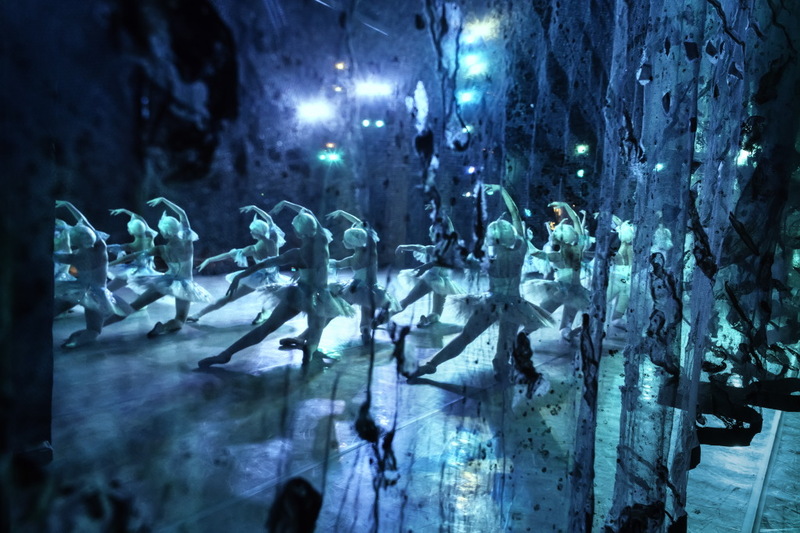 Since the post-war period, the Kiev Opera Ballet has become one of the biggest European companies. In 1964, at the Paris Festival, the company was awarded the Etoile d’or of the French Dance Academy. 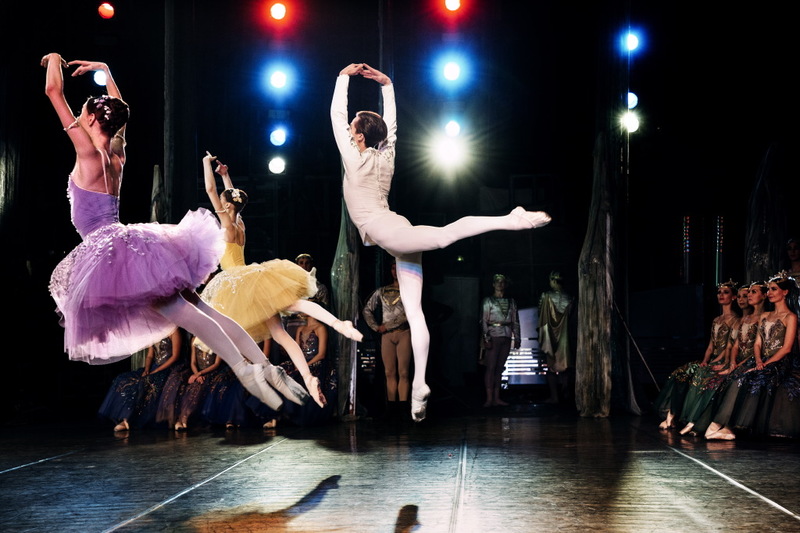 From 1992 to 2000 the Theatre’s Ballet Company company was directed by the Ukrainian choreographer Anatolij Severa. His staging of Sergey Prokofiev’s 1971 ballet “Romeo and Juliet” has been performed around the world for over thirty years and received the UNESCO medal as the best interpretation of Prokofiev’s ballet. 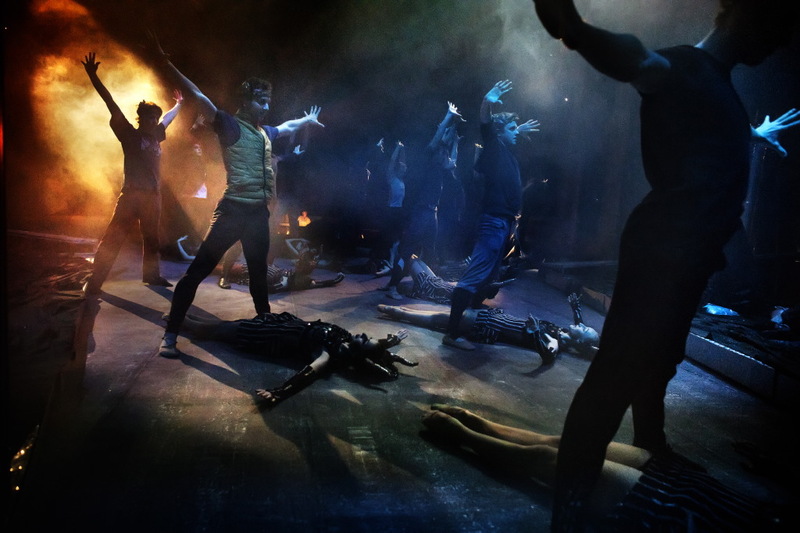 The company currently consists of 150 dancers and stages 16 productions a month in the Kiev Theater, as well as numerous international tours. (text by Muriel de Meo). Taras Shevchenko Theatre, Kiev 2018. 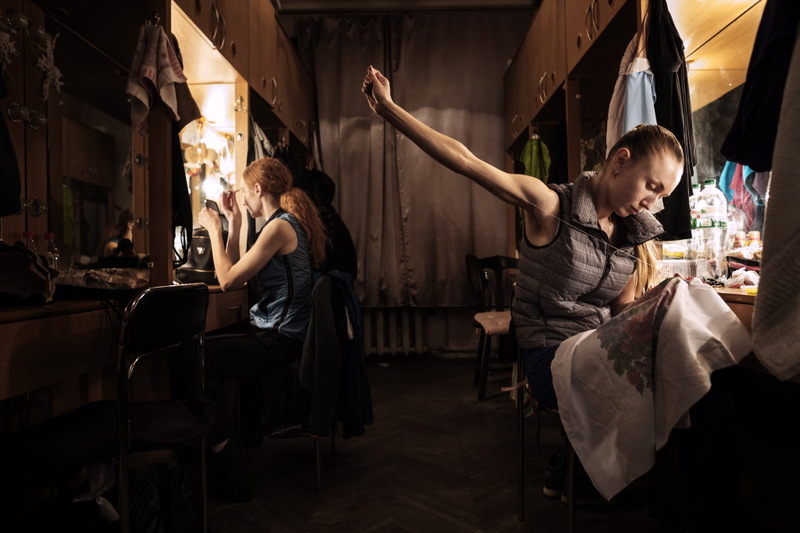 The ballet dancer Ekaterina Ciupina, while warming up in her dressing room, before entering the scene in the ballet “Swan Lake”. Taras Shevchenko Theatre, Kiev 2018. 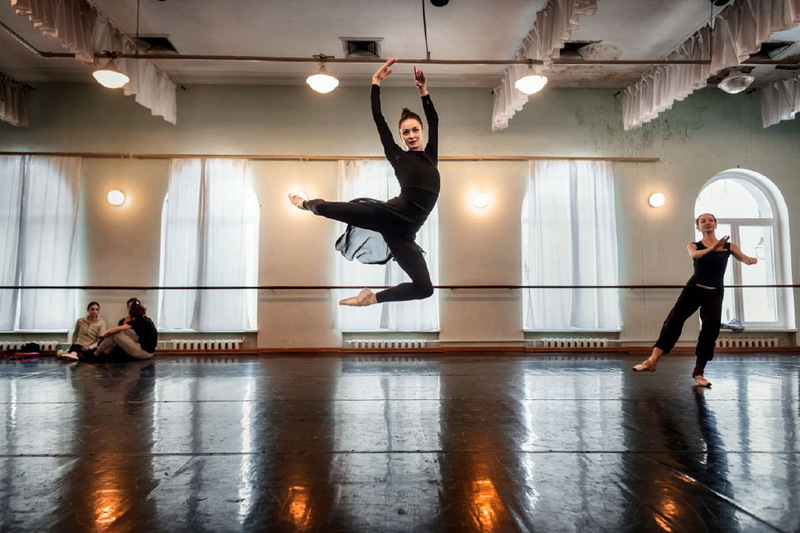 Ballet dancer Anastasiya Shevchenko, during a lesson. Taras Shevchenko Theatre, Kiev 2018. A moment before going on stage in the ballet “The Nutcracker”. Taras Shevchenko Theatre, Kiev 2018. Performance of the ballet “The Nutcracker”, a ballet with music by Pëtr Il’ič Čajkovskij (op.71). 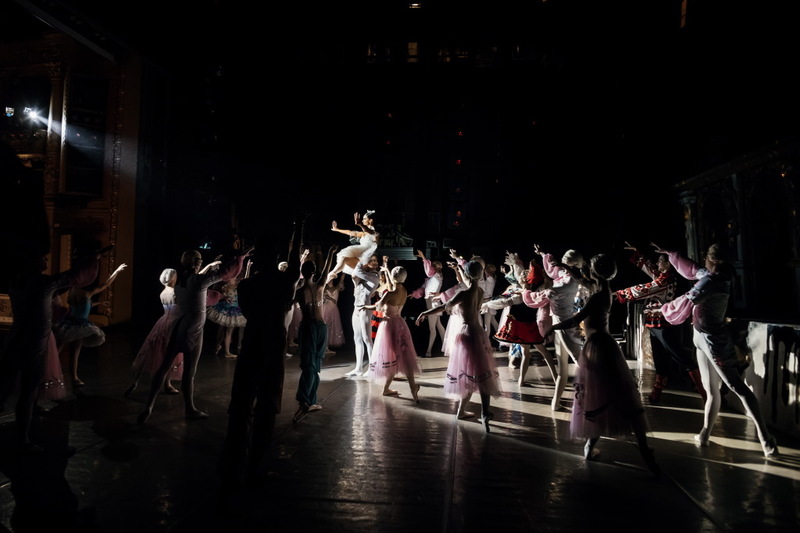 “The Nutcracker” is one of the most represented subjects in dance schools and has been an inspiration several times for the cinema, the theatre and sport. Taras Shevchenko Theatre, Kiev 2018. “Swan lake” is one of the most famous and acclaimed 19th century ballets performed by Pëtr Il’ič Čajkovskij. Taras Shevchenko Theatre, Kiev 2018. The dancer Victoria Kadumina during the performance of “Swan lake”. Taras Shevchenko Theatre, Kiev 2018. 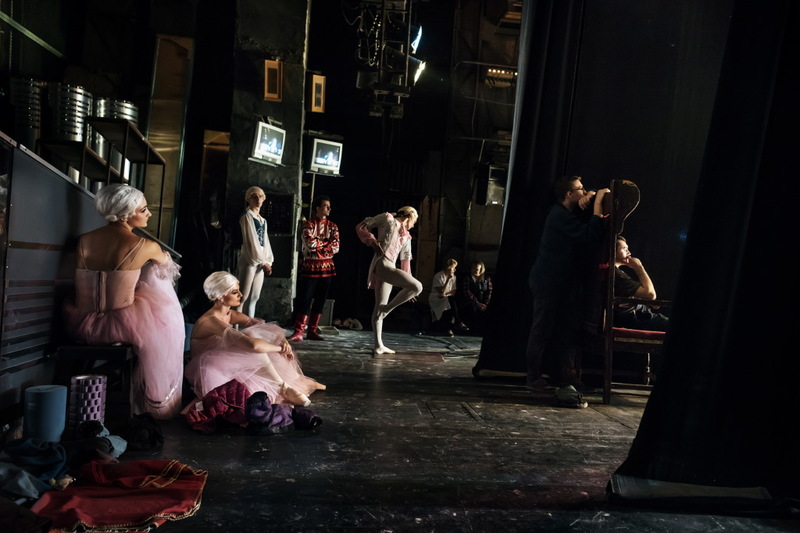 Ballet Dancers waiting to enter the stage in the ballet “The Nutcracker”. Taras Shevchenko Theatre, Kiev 2018. 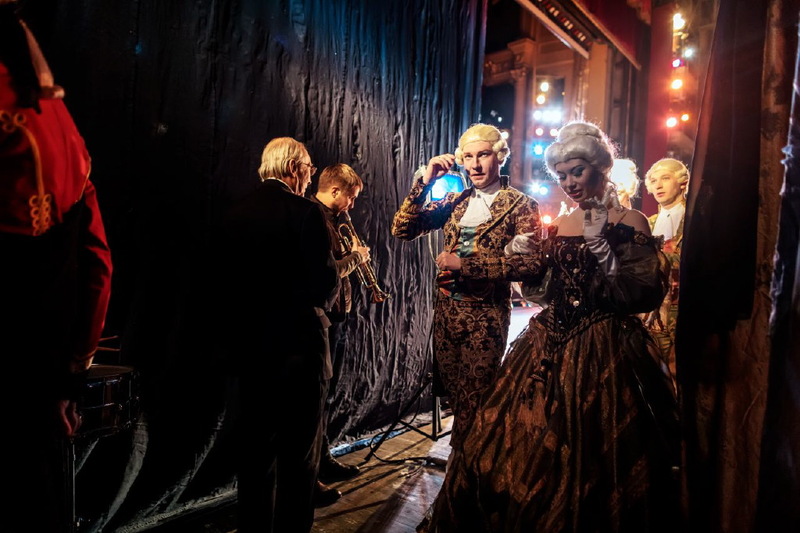 Behind the stage before entering the scene in the “The Nutcracker” ballet. “The Nutcracker” is a ballet with music by Pëtr Il’ič Čajkovskij (op.71). “The Nutcracker” is one of the most represented subjects in dance schools and has inspired the cinema, the theatre and sport several times. Taras Shevchenko Theatre, Kiev 2018. 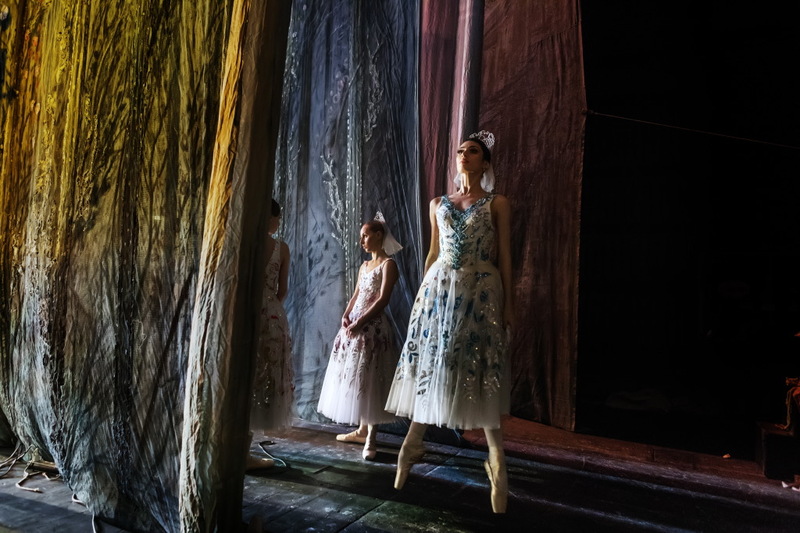 Ballet dancers in the backstage waiting to enter onto stage for the ballet “The Nutcracker”. Taras Shevchenko Theatre, Kiev 2018. The dancer Fabienne Hotte, while performing some warm-up exercises for the ballet “The Nutcracker”. Taras Shevchenko Theatre, Kiev 2018. On the stage, a few minutes before the start of the ballet “Swan Lake”. “Swan lake” Op. 20, is a ballet composed by Pyotr Ilyich Tchaikovsky in 1875–76. 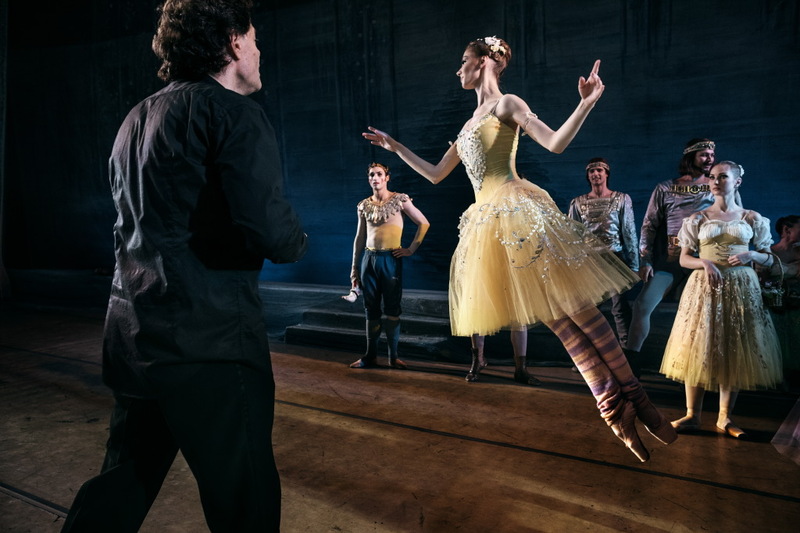 Despite its initial failure, it is now one of the most popular of all ballets. Taras Shevchenko Theatre, Kiev 2018. 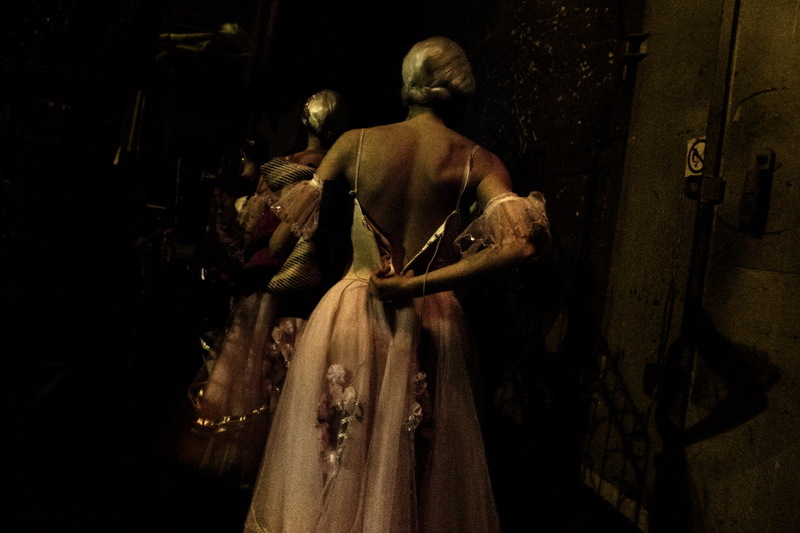 A ballet dancer on the way to the dressing rooms at the end of the ballet “The Nutcracker”. Taras Shevchenko Theatre, Kiev 2018. 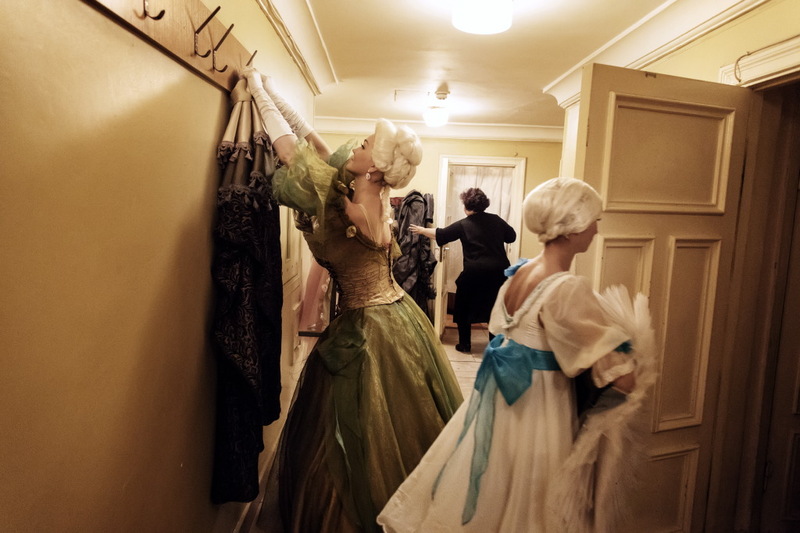 Dancers in the dressing rooms changing costumes for the ballet “The Nutcracker”. Taras Shevchenko Theatre, Kiev 2018. 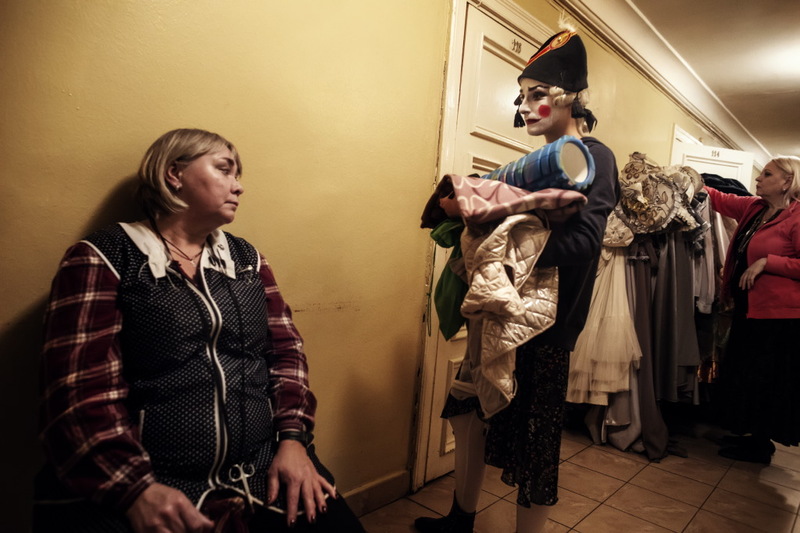 The dancer Elena Pekarskayia, while showing the costume to a seamstress of the theatre. Taras Shevchenko Theatre, Kiev 2018. The ballet dancer Lera Chenniyak in the dressing rooms after playing the role of the doll in the ballet “The Nutcracker”. Taras Shevchenko Theatre, Kiev 2018. Preparing for the dress rehearsal for the ballet “The Nutcracker”. Taras Shevchenko Theatre, Kiev 2018. Room for theatrical costumes. 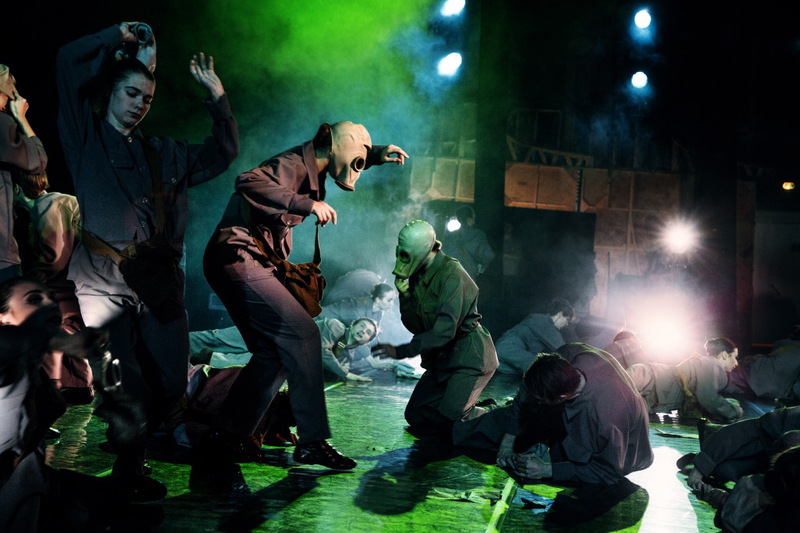 Theatrical costumes are clothes, especially created for the scene, which are worn by the actors in a performance. The costume is of great importance in the history of the theatre and its evolution is closely intertwined with that of the theatre itself. Taras Shevchenko Theatre, Kiev 2018. The ballet dancer Vitaly Nifrunenko as he is made-up for the ballet “Master and commander”. Taras Shevchenko Theatre, Kiev 2018. 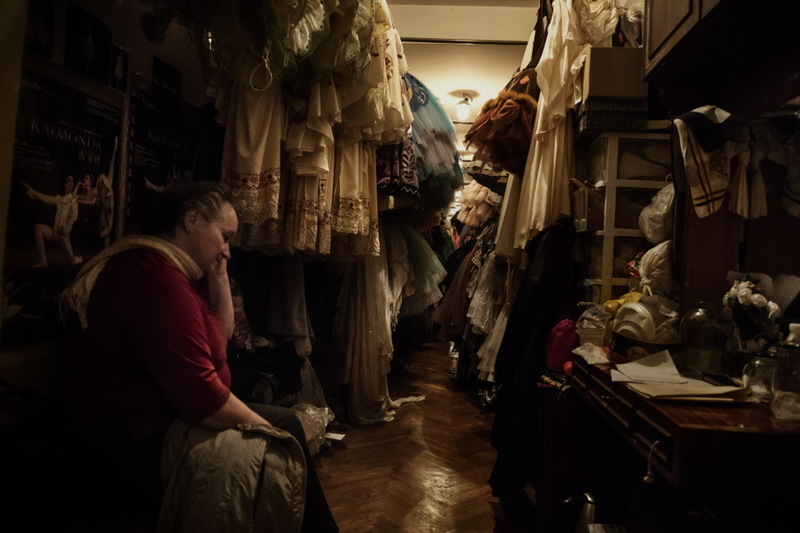 The ballet dancer Elena Pekarskayia, in her dressing room while she is making up for the ballet “The Nutcracker”. Taras Shevchenko Theatre, Kiev 2018. 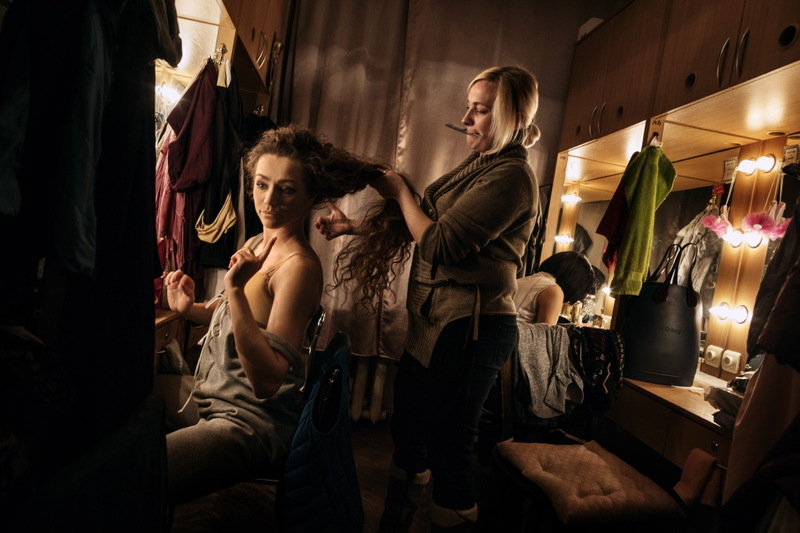 The ballet dancer Ekaterina Sinotina, in her dressing room with the make-up artist. Taras Shevchenko Theatre, Kiev 2018. 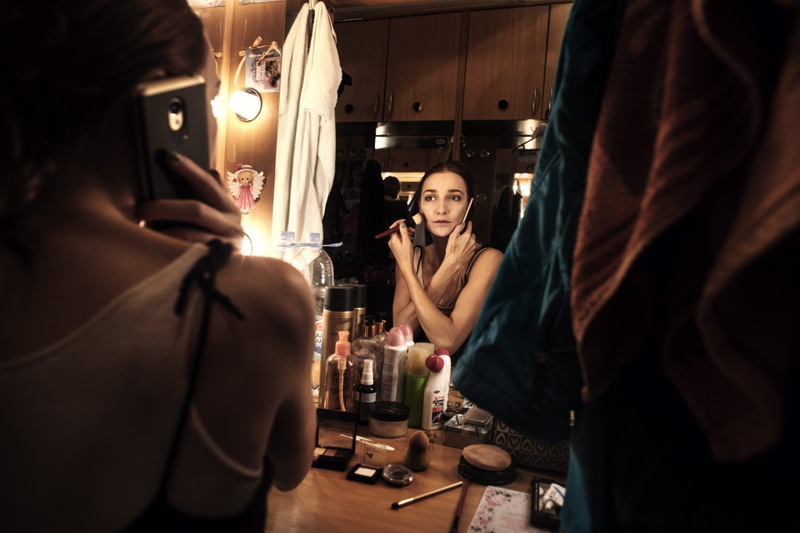 The ballet dancer Yulia Kulik, in her dressing room, while preparing her hairstyle , before going on stage. Taras Shevchenko Theatre, Kiev 2018. 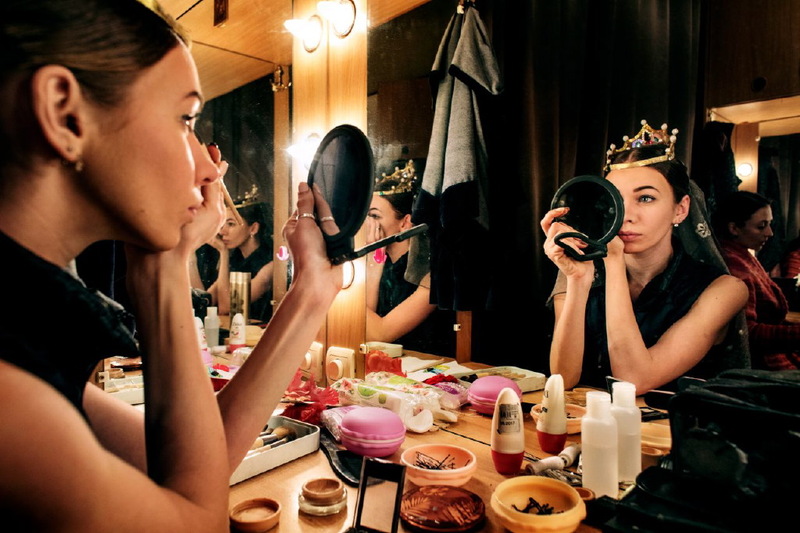 The German ballet dancer Fabienne Hotte, in her dressing room while preparing for the ballet “Swan lake”. Taras Shevchenko Theatre, Kiev 2018. 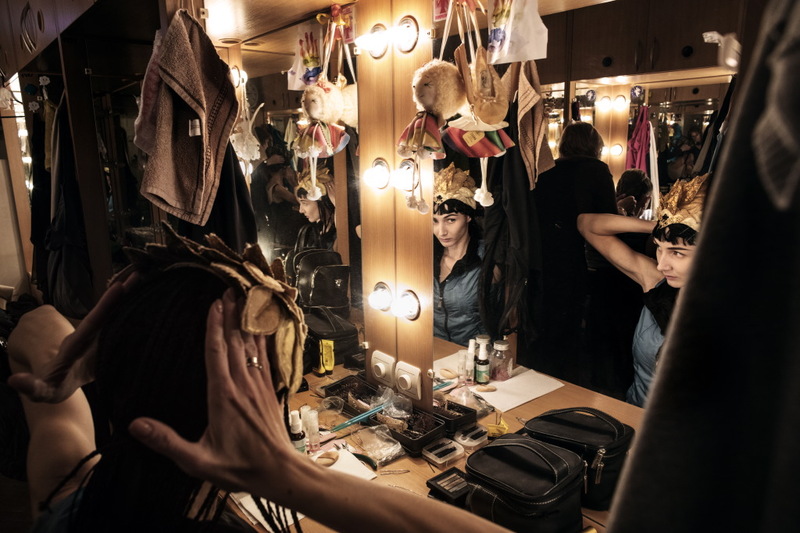 The ballet dancer Margarita Aliyanahy in her dressing room as she is putting her make-up on. Taras Shevchenko Theatre, Kiev 2018. 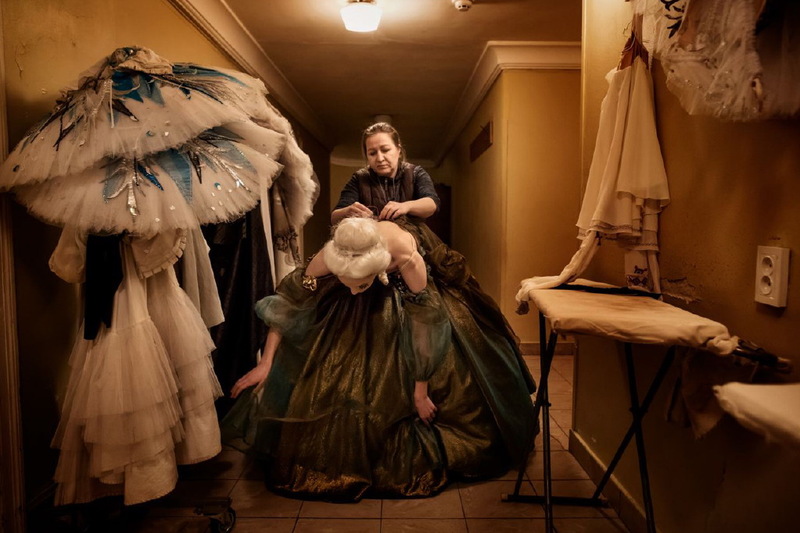 The ballet dancer Ekaterina Didenko while sewing her own stage costume. Taras Shevchenko Theatre, Kiev 2018. 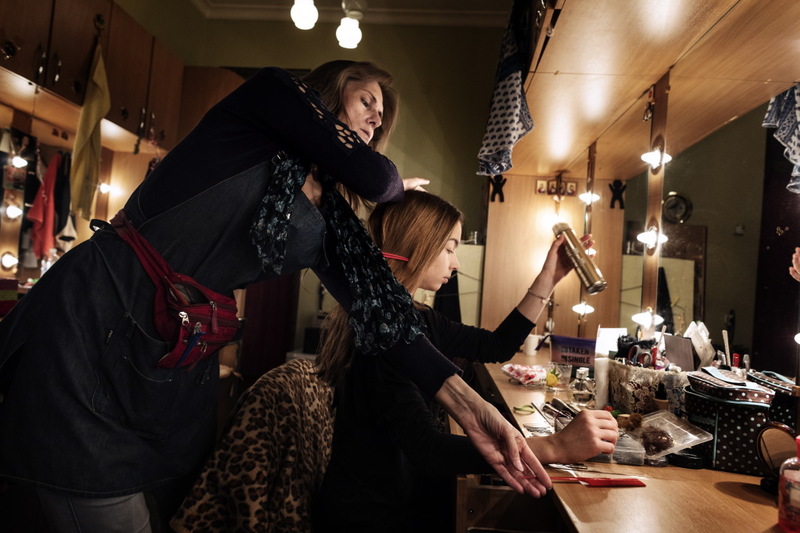 The ballet dancer Elena Gorshunova, in her dressing room with the make-up artist. Taras Shevchenko Theatre, Kiev 2018. 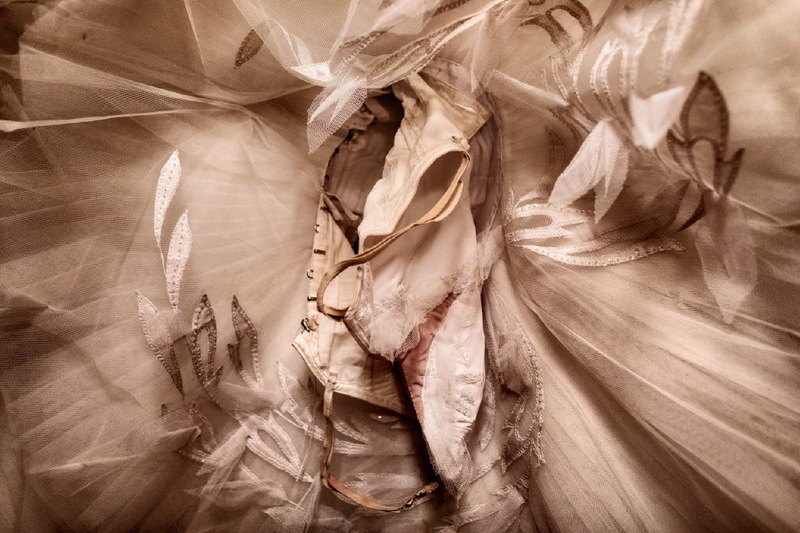 Changing room of the ballet dancer Margarita Aliyanahy. Taras Shevchenko Theatre, Kiev 2018. Some warm-up exercises by the German ballet dancer Fabienne Hotte who has moved to the Taras Shevchenko, a year ago. Taras Shevchenko Theatre, Kiev 2018. 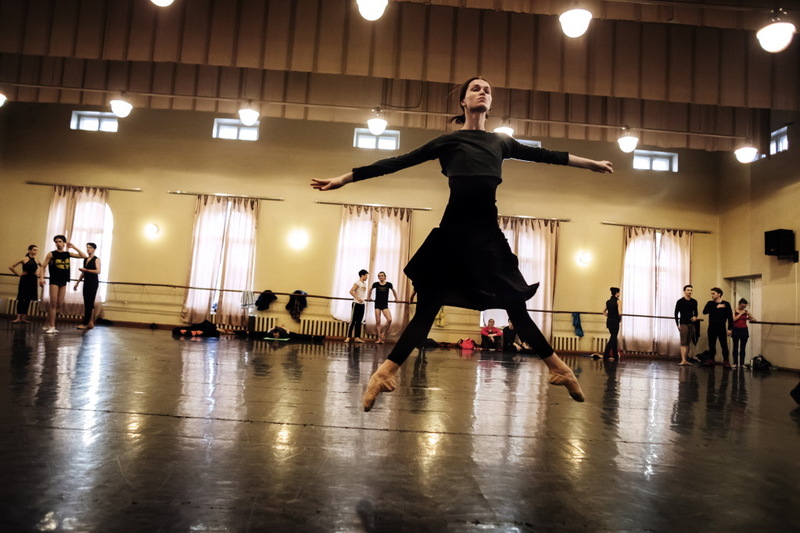 The German ballet dancer Fabienne Hotte, who has moved to the Taras Shevchenko, a year ago, practicing during a ballet lesson. Taras Shevchenko Theatre, Kiev 2018. A ballet lesson. Taras Shevchenko Theatre, Kiev 2018. 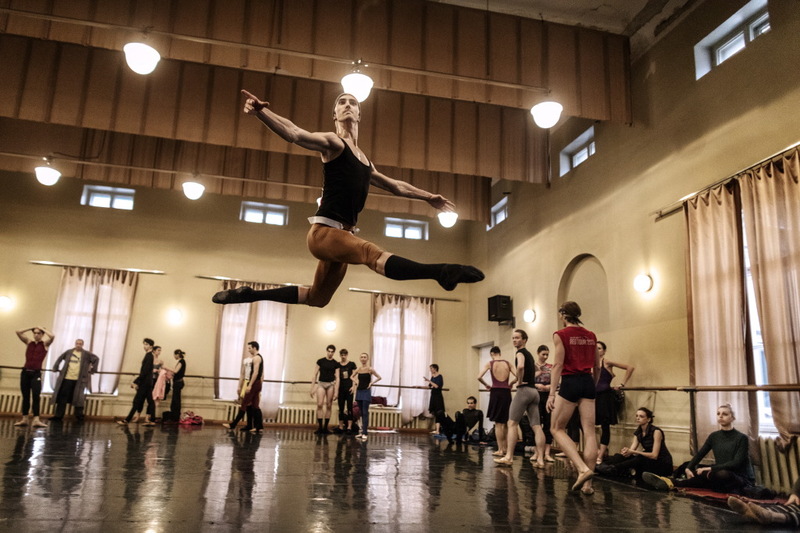 The ballet dancer Snatislav Olshansky during a ballet lesson. Taras Shevchenko Theatre, Kiev 2018. Ballet lessons. Taras Shevchenko Theatre, Kiev 2018. 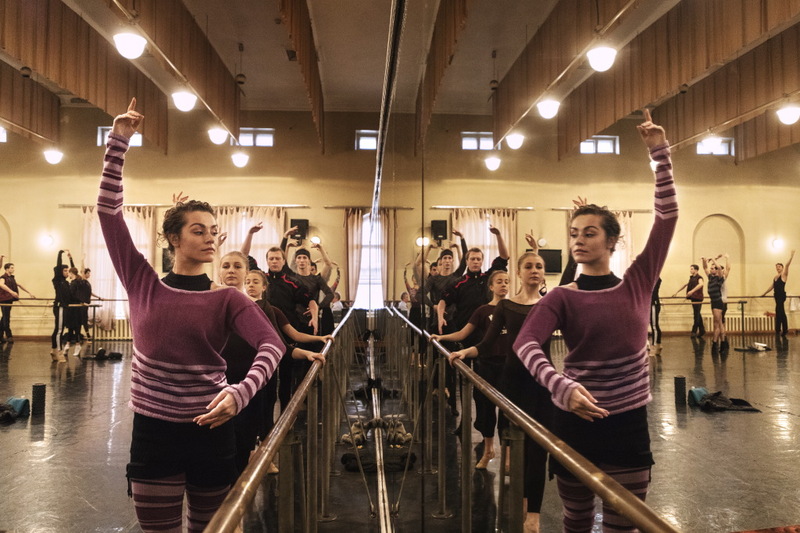 Training of the German ballet dancer Fabienne Hotte, Ballet dancers during a lesson with Vladimir Denisenko’s, a former ballet dancer and currently teacher of the Scenographic School and the Kiev ballet. Taras Shevchenko Theatre, Kiev 2018. Some warm-up exercises by the ballet dancer Katerina Kurehenko. Taras Shevchenko Theatre, Kiev 2018. Dancer Vladimir Kukuzov during a ballet lesson. Taras Shevchenko Theatre, Kiev 2018. Irina Brozkoya, a teacher from the theatre. Taras Shevchenko Theatre, Kiev 2018. The teacher Belezkayia Tatiyna, during the dance rehearsal of the ballet “The Nutcracker”. Taras Shevchenko Theatre, Kiev 2018. 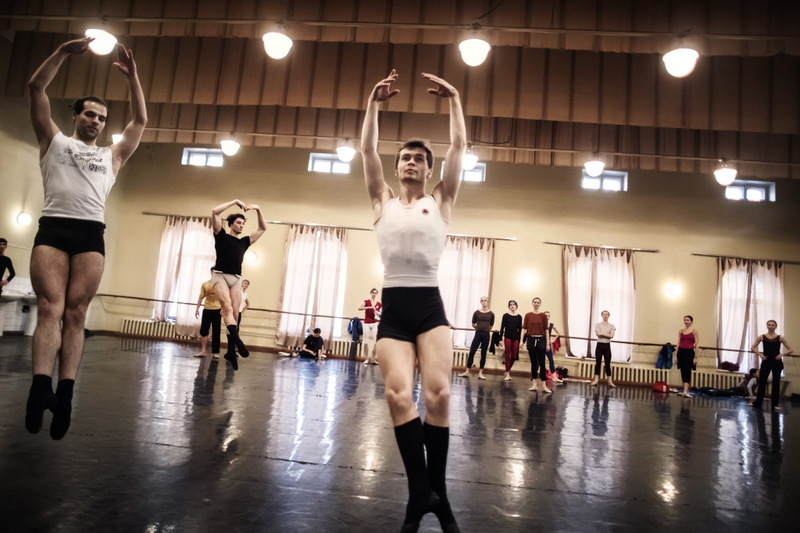 Dancer Zaporozec Dunajem during a ballet lesson. Taras Shevchenko Theatre, Kiev 2018. 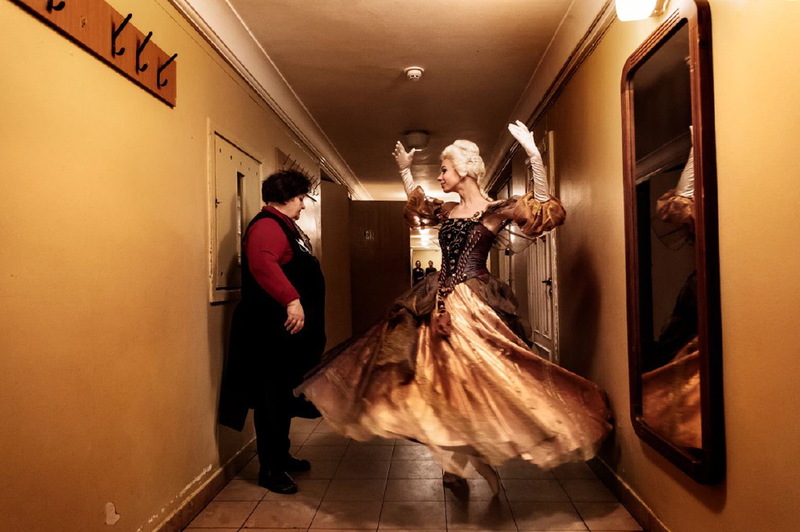 The dancer Ekaterina Kurcenko during the rehearsals of the Spanish dance, in the ballet “The Nutcracker”. Taras Shevchenko Theatre, Kiev 2018. Resting between scenes in the opera “Carmen”. Taras Shevchenko Theatre, Kiev 2018. Galikova Tatiyana, protagonist of the ballet in the opera “Carmen” waiting for her call to return on stage. Taras Shevchenko Theatre, Kiev 2018. Warming up before entering the scene in the opera “Carmen”. Taras Shevchenko Theatre, Kiev 2018. On stage in the opera “Carmen”. Taras Shevchenko Theatre, Kiev 2018. 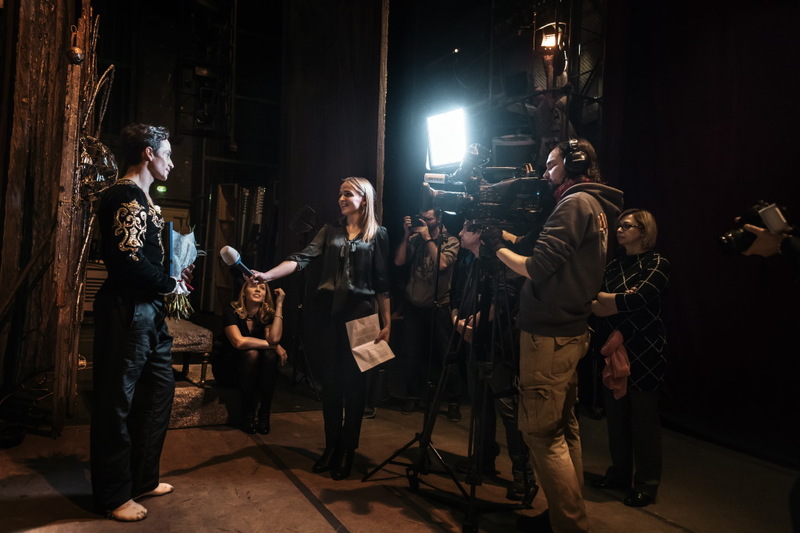 TV interview with baller dancer Aleksandr Stoyanov, at the end of the ballet “Swan Lake”. In 2006, after graduating from the KGHU, Alexander became a soloist of the National Opera of Ukraine. In the same year he received an invitation to work at the Mariinsky Opera and Ballet Theatre in St. Petersburg, and a few years later he was invited by the Bolshoi Theatre and the Berlin Opera. However, he refused to work abroad, having decided to dance at home. In the National Opera of Ukraine, Alexander performs the leading roles of almost the entire repertoire. Taras Shevchenko Theatre, Kiev 2018. 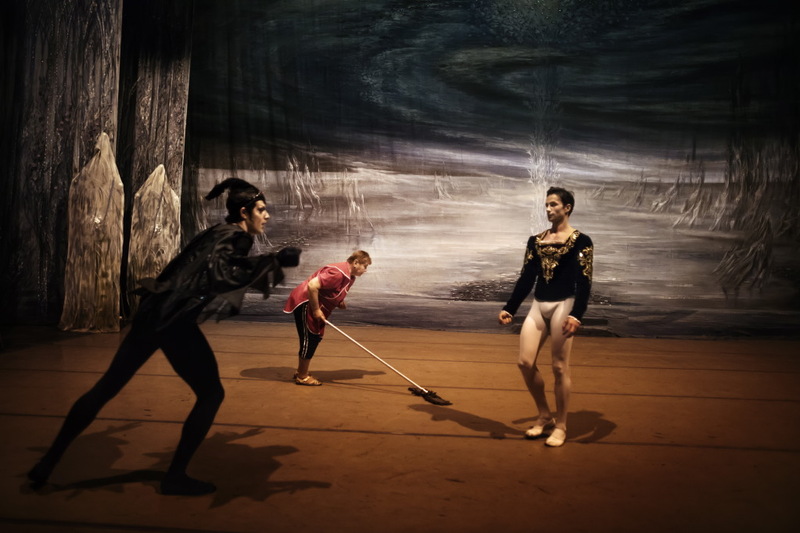 Cleaning of the stage a few moments before the beginning of the ballet “Swan lake”. Taras Shevchenko Theatre, Kiev 2018. Some warm-up exercises of the ballet dancer Anna Muromtseva a few moments before entering the stage, for the representation of “Swan lake”. Taras Shevchenko Theatre, Kiev 2018. 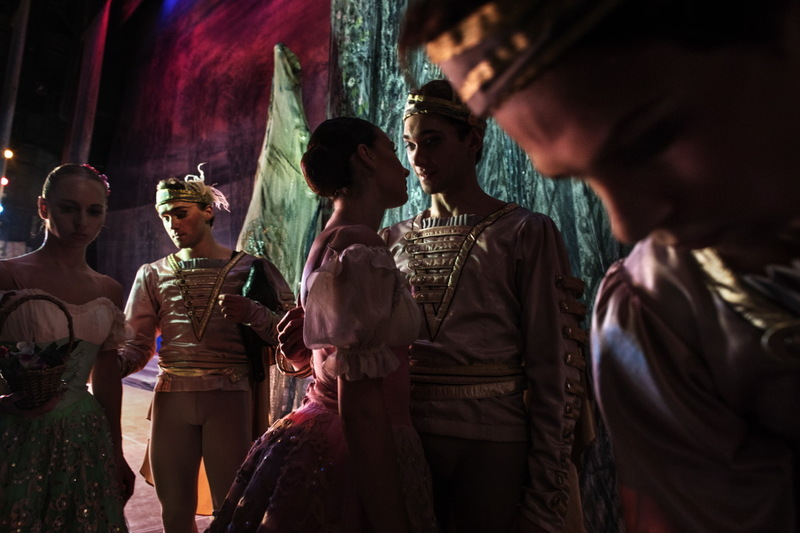 Moment of tenderness between two ballet dancers before entering on stage for the “Swan lake” ballet. Taras Shevchenko Theatre, Kiev 2018. Ballet of “Sheherazade”. “Sheherazade”is a ballet by Michael Fokine based on the symphony composed by Nikolay-Korsakov in 1888. Taras Shevchenko Theatre, Kiev 2018. “The master and Margarita” is a novel by Russian writer Mikhail Bulgakov, written in the Soviet Union between 1928 and 1940 during Stalin’s regime. Taras Shevchenko Theatre, Kiev 2018. Rehearsal for a “Faust” opera. “Faust” is the most famous theatrical work by Charles Gounod (1818 – 1893). The debut, on March 3rd 1869, at the Paris Opéra, was a triumph and forced Gounod to add 7 ballets. Taras Shevchenko Theatre, Kiev 2018. 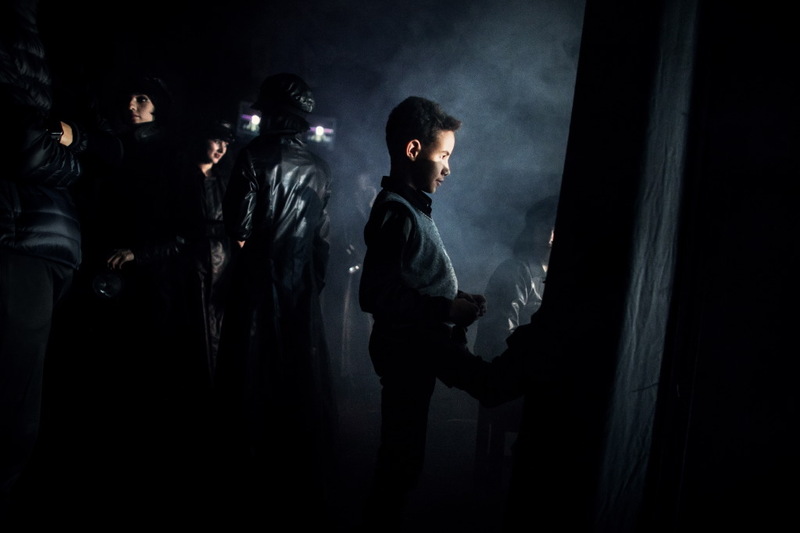 The son of ballet dancer Natalia Ishchenko, while watching his mother performing in the ballet “Master and Margarita”. Taras Sheevchenko Theatre, Kiev 2018. Ballet dancer while warming up, before entering the scene in the ballet “Master and Commander”. Taras Shevchenko Theatre, Kiev 2018. Exiting the scene of the ballet “The Nutcracker”. Taras Shevchenko Theatre, Kiev 2018. Applauses for Nataliya Mozak, prima ballerina in the ballet “The Nutcracker”.